You mentioned this possibility earlier, and now you draw it detail. I suppose that the Court will say that the class is too big for the courts to fashion adequate and just remedies. It's like too big to fail, only it's become too big to take responsibiilty. Apologists for the Court will say that the remedy could be like Brown v. Board, all kinds of things being tried by different district courts all over the country, and maybe ultimately there would even by 'bussing' involved as plaintiffs were bussed from courthouse to courthouse. But let's wait and see. Smaller scale, more targeted cases should still be possible. Your analysis is sound, as to what should be done .... but also, unfortunately, sound as to what the probable outcome is. "All dollars are equal but some dollars are more equal than others." It's a helluva way to run a country. This is proof positive that the system is on life support in a lousy hospital. How about you nominate me to go sign your mortgage and promissory note in your name. What would happen? It would harsh. The banks did the sam thing with MERS. In the NY Appellate decision I referenced (June 7), the justice writing for the majority said something like, 'We realize the implications of our decision'. He meant what I struggle to make clear in the article. None of these contracts involving MERS stand, not just the ones in bankruptcy court but all of them - FRAUD. The effort to cover this up is huge but they have to throw out contract law that is the basis for business. Allow lenders to commit fraud and what are the standards for other contracts? It's a whole lot different than Brando sending a Native American princess to pick up his Oscar. That was actually cool. The behavior of the banks with MERS is contempt of the court and the larger culture of people who try to live by the rules. Very good point that Foreclosuregate now has even less chance at justice through class action from the part of the Walmart 5-4 ruling where Scalia wrote the opinion. 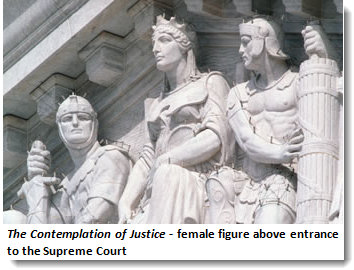 See Supreme Court Lands Blow to Women where I pulled out that very section you are referring to and how it damages any chance of justice, especially when there is a systemic pattern of whatever a class action suit is about. While MERS is systemic, uniform and a pattern, it wouldn't surprise me to see this interpreted as somehow there is too much variance in something to be classified as a class action, simply because the court ignored the statistical findings of Walmart can seemingly hunted for variance to claim the case could not be. Would MERS be the same? MERS and defrauding all County Recorders out of Billions!! MERS has not only misrepresented itself in millions of foreclosures, not thousands....it also defrauded every County Recorders in every State in the country and is the very reson all the States are broke!!! MERS is paperless...it's a computer!! Thus, no filing of all the important land titles, assignments, transfers and sales and illegally moving millions of loans into their phony "pools" and selling this "pools" to foreign investors over and over and over!! Go to your County Recorders and pull every documents that is there on your address....if, and it's not a big if, MERS is on your DEED OF TRUST, then your loan is part of their scheme!! Stop paying your mortgage and sue them in your Superior Court!! The Judges took many years to "get it" but too many people all claiming the same issues and has given them that light bulb moment. The courts are the only way to fight this mess...the Government will not stop them...they are part of it and have deceived we AMericans to believe in a big fat lie. Wake Up!! We are being deceived!! Homeless nation. Maybe they'll revert to having "company towns" or tent cities with the right to squat offered in return for our labor. It's absurd. By destroying the system, The Money Party destroys the value of its assets. Now that's crazy. The Money Party keeps their assets elsewhere than in US dollar-denominated anything. Their strategy now is to keep pulling money out of the U.S., intentionally participating in undermining of the U.S. dollar and the U.S. economy. The plan is to buy it all back later for pennies on the dollar, investing only "when blood runs in the streets." Meanwhile they are trusting in the ignorance of the American people, the cupidity of the RNC, and, the stability of the PRC! Go to your tax record and click on the book/page. In Palm Beach County, you will then click on image. It will bring up a .pdf of the mortgage. It will say MERS at the bottom of the FIRST Page. We could call it "the people's class action"